Yesterday on Facebook I asked for some blog post suggestions for the new year. I got quite a list (which I printed – 6 pages worth) and am working through them as we begin 2012! Several people asked about FABRIC STORAGE. This is not my area of expertise, as you will see down below. But, I can tell you how I do things and then make 1 suggestion that I’ve seen and like (but am too lazy to do). First of all, I USED to cut a fabric swatch of my fabric (4-5″ square) and organize it by style or theme and safety pin each style together. I did this when I was doing a lot of customer work and had people in and out of my house picking out fabrics for appliques. This was a great way to show my fabrics and for my customers to be able to pick out what they wanted without them having to sort through drawers of fabric. Somewhere along the way I stopped doing this :(, so this is only a fraction of my fabric selection. As you can see, they are “organized” by colorful polka dots, ginghams (all sizes), boy stuff, stripes, color w/ white polka dots, seasonal, etc etc etc…. 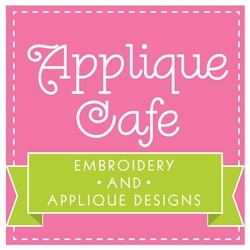 Someone also asked about how to pick out fabric for an applique design. 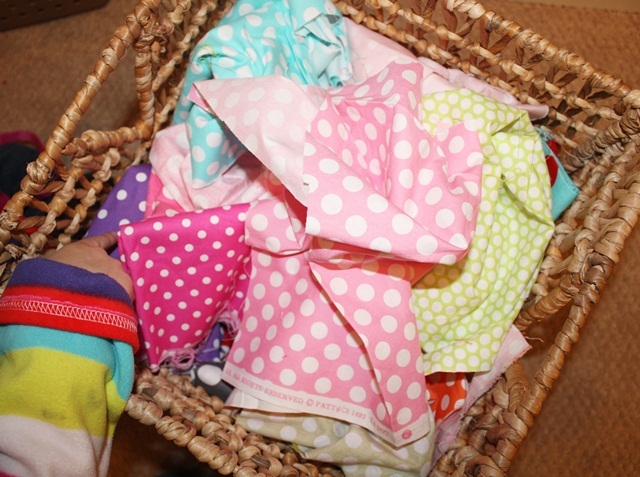 I would say my “go-to” fabrics are always polka dots and ginghams. They just “work” with any design you are doing! I use A LOT of polka dots, ginghams and solids. I look at a design, usually start by picking 1 fabric I know I want to use, and then try to coordinate with that. Sometimes I can pick out fabrics very quickly, and sometimes it might take me an hour! This is another post in and of itself!! I just pin the swatches together in the corner with a big safety pin. Nothing fancy! I guess I should mention that when I used to cut swatches of my fabric, I would try to cut a swatch out of whatever edge might have the name and designer of the fabric. Sometimes the piece you get (if you get 1/4 yard) doesn’t have that info, but if it does, it’s helpful to cut that piece! 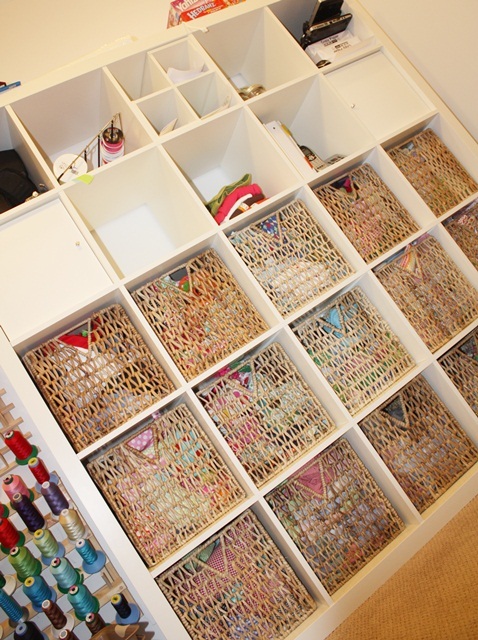 Now… this is MY fabric storage and it works for me, but I would not call it neat! Several of you said yours was in boxes and you had no idea what you had. I concur!! Sometimes I dump a basket out and go through it if I can’t decide on fabrics for a design. My fabrics ARE organized by style, so I do know what is in each basket (…sort of). Yes, I have 15 baskets full of fabric. I have a problem. 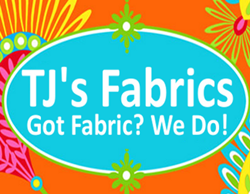 This is how they are organized ~ solids, seasonal, boy fabrics, corduroys, minky dots, polka dots (regular to big dots), colorful dots, pin dots, stripes, florals, fat check ginghams, regular ginghams, microcheck ginghams, plaids/checked fabrics and more florals. 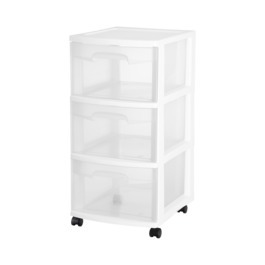 My Expedit from Ikea is the 25 cubby Expedit. LOVE me some Expedit!! We had friends who were in Atlanta this past weekend and they were going to Ikea, so they brought me 4 more of the Pjas baskets. I am so thankful!! I’m hoping to go back in a couple of weeks!! Here’s a look inside my baskets. They are just thrown in there! This is my go-to polka dot basket. All of my Michael Miller Ta Dots are in here. MOST of these have white dots too, although I see a teal fabric in there with big red dots!! That is Sissy’s hand pointing to the purple. Here is my basket of ginghams. They are all basically the same size regular ole 1/16th ginghams. My fat chunkier ginghams are all in a basket as well as my microcheck ginghams which are in another basket. Here is my seasonal basket ~ mostly Christmas, some Halloween and Valentine fabrics are in here. Notice the arrow pointed to the neatly rolled up fabric secured by a rubber band. That USED to be my practice (probably when I also cut swatches of every fabric). I still have some that are rolled and rubber-banded, but most are just thrown in the basket. Some are at least folded! The above photo came from Pinterest ~ fabric NEATLY placed on boards and displayed beautifully on a shelf. 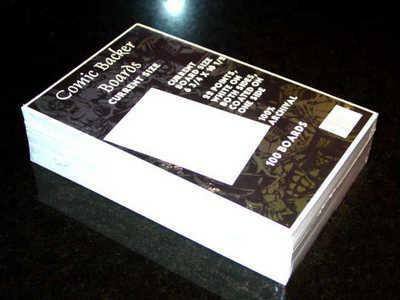 I think most people who showcase their fabric this way use Comic Boards (see below) which usually come in packs of 100. Try Amazon or just Google “comic board”. I would love to display my fabric like this! But, I am too lazy and my system works for me and it would take me 6 months to iron and wrap all of my fabric like this! Maybe I should just take my favorites and try it?? I hope this helps! I’m sure there are 1,000 ways to organize fabric! I find the best way is to organize it by style. The swatches are great too if you have customers coming in to your home. Before my Expedit I used the plastic drawer bins from Target or Walmart (see below). I think I was up to 6 of them before the cubbies. Thanks to those of you who suggested FABRIC STORAGE as a blog post! I will be contacting you via Facebook for a surprise! Great post I love the basket idea. I’d never be disciplined enough to iron and wrap. I love the way you have them categorized as well. I went to a shop that specializes in close-out building materials and bought unfinished kitchen cabinets for my sewing room. I stained all of them, then installed the upper ones on each side of the window in the room, then the lower ones, which have storage drawers. I bought two unfinished butcher block counter tops and installed one at sewing table height to connect the two lower cabinets. I cut the other one to cover the tops of the lower cabinets. That gave me 6 drawers for fabrics (I use the shallow top drawers for sewing tools.) I mounted the upper cabinets down from the ceiling about 12″, and on the top of them I have Sterilite containers storing specialty items that I don’t use a lot. I also store larger pieces of fabric in the upper cabinets. I have 2 chests in the room and use them also. And I store my fleece and flannels in under the bed containers, that are now under the table that holds the computer and serger. I have lots and lots of fabric, bought and been gifted with, and it is good fabric that I don’t want to get rid of, so I find places to store. 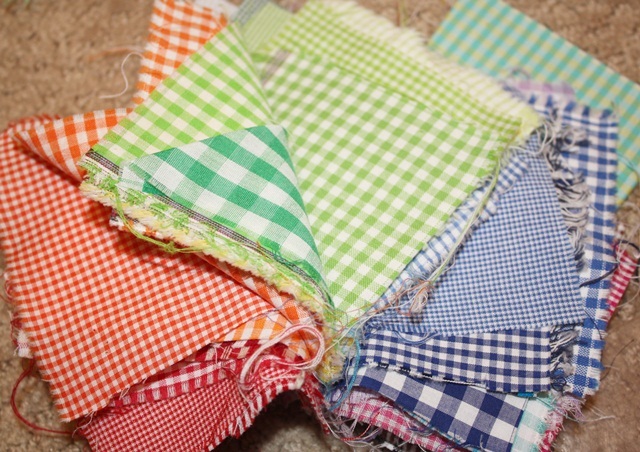 Each fabric is separated by color, or type, denim, vintage or gingham. I found this is the easiest for me. 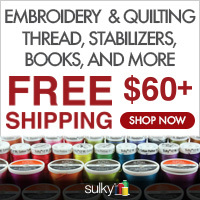 All things like elastic, tools, Velcro, buttons (fancy, white, colored), crystals, beads, etc. are stored in the small sterilite drawers purchased from WalMart and stacked on top of the chests. I also have three of the large 7 drawer Sterilite drawer systems, top 4 drawers of each cabinet is filled with the 1,000m spools of embroidery thread, the bottom 3 drawers are filled with various serger threads and larger spools of embroidery thread. and some specialty items. Under the sewing counter, I have 3 three drawer storage units, one filled with stabilizer, one with interfacing and wonder-under type things, and the third filled with ric-rac, ribbon and other trims. The room feels cluttered, but I’m trying to get organized. 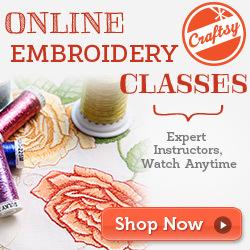 We are just in the process from changing it from sewing/guest room, to strictly sewing room. A cutting table has replaced the queen sized bed, thus the under the bed storage containers, that are now under the table. Hopefully soon I will have it cleaned enough to post pictures. I’d love to see pictures! Oh my goodness! How could anyone be organized enough to press and wrap all of their fabric on those comic boards??!! It looks great but there is no way I could do that. I would get so depressed if I ever had to undo my fabric and actually use it! I followed your suggestion last summer Rosemary and got the Target rolling cabinets and organized my fabrics in the topics you suggested. It has worked great for me. 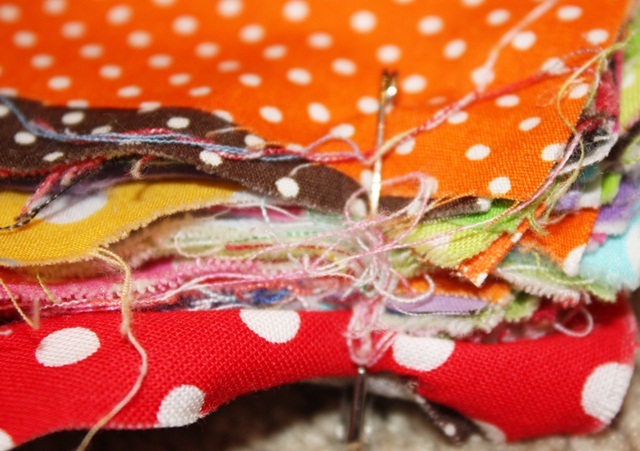 I think anyone that loves sewing has TONS of fabric and it will always be tough to try and organize it! 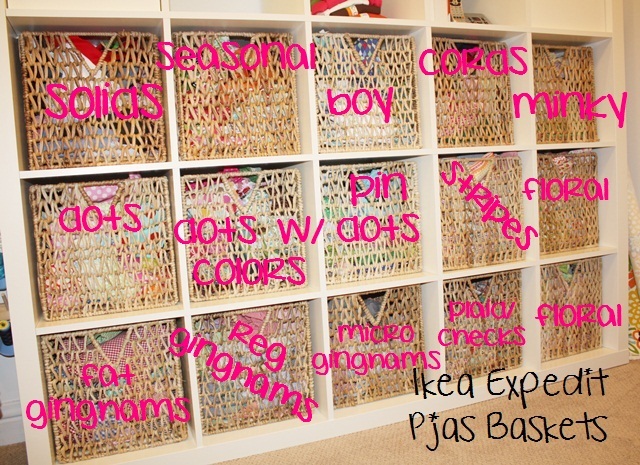 Pinterest has some really cool pictures to dream about organizing if you want some suggestions.Thanks for your help! I missed the FB post. Glad you were given so many ideas!! Looking forward to them all! 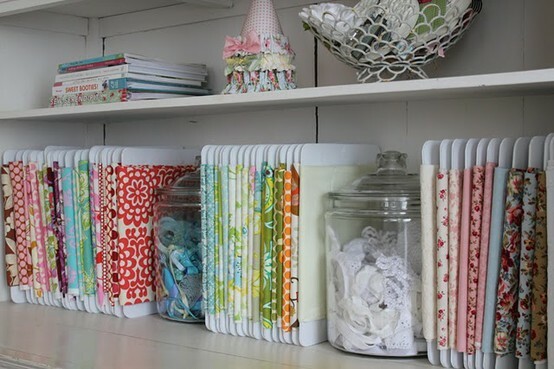 I use a similar fabric storage “system” as yours except I have the cube shaped bins that fit in the closet maid organizers. 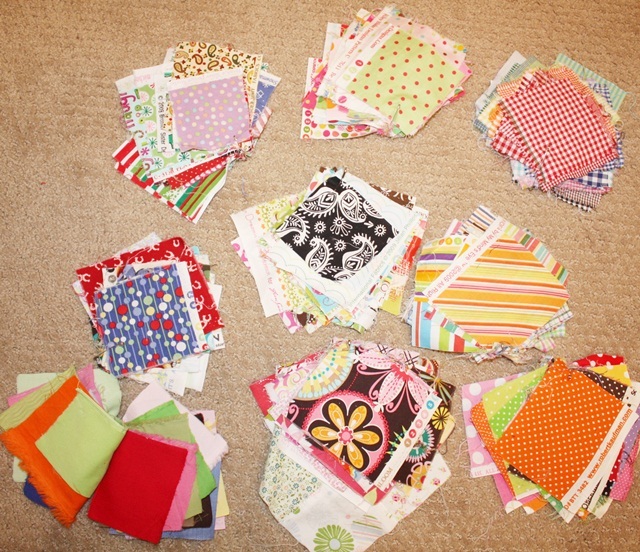 I have already used up most of my space in one year………..( : I have a few fat quarter bundles of 4-6 matching fabrics and I don’t really know what to do with them. I am reluctant to separate them. Thanks for sharing your space and ideas! Happy New Year! Enjoyed all the suggestions on fabric storage…Love your applique designs, too!! We spent much of last year setting up a new sewing studio in our former little used living room. Hubby brought home a large double door metal storage cabinet for me to use for fabric storage. He even spray painted it white for me! It has 3 shelves inside, and is pretty deep, too. I was able to fold and stack most of my current fabric stash in it. I still have 3 large clear totes and another dresser full of fabric accumulated over the past 25 years. 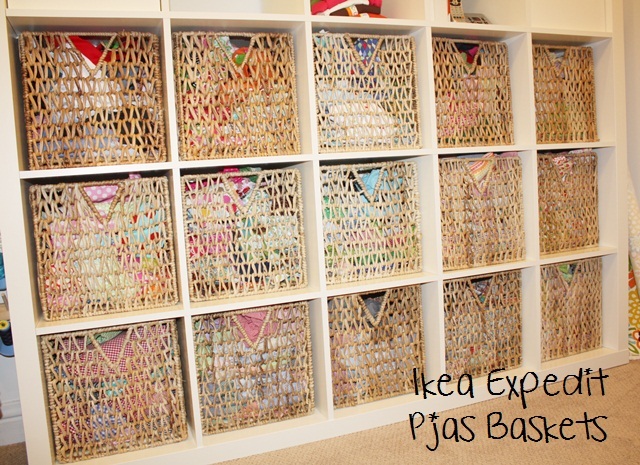 I love the Ikea storage wall, but probably would prefer clear plastic totes with lids to store the different types of fabric. Baskets are beautiful, but I know how much dust my house generates! I think the fabric would stay cleaner if covered up. Plus, we keep our 2 1/2 year old granddaughter during the day and she thinks that anything open and in reach is available for her to play with!!! We are planning on making the 2 1/2 hour trip to the Atlanta area to eat at Pappasito’s later this week. I’d love to talk hubby into taking me to Ikea for a look. I did see the comic board idea on pinteret and did do that with some of my fabric a little at a time and it is wonderful. 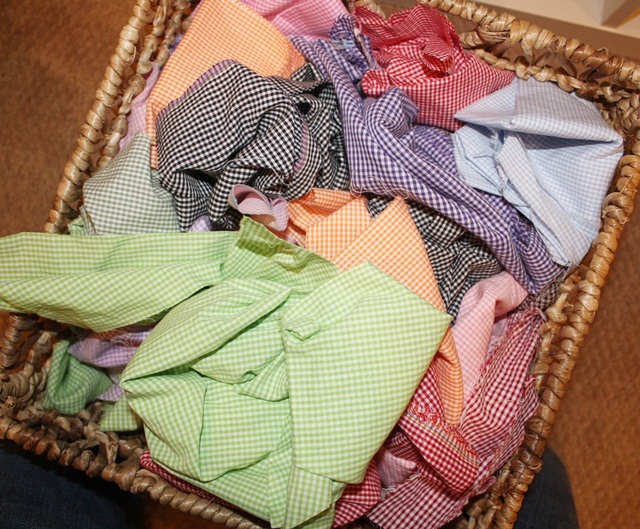 mine is not ironed just on the boards and still looks great i have a large basket the i am most of them in. It did not take that long and take up less space than it did. 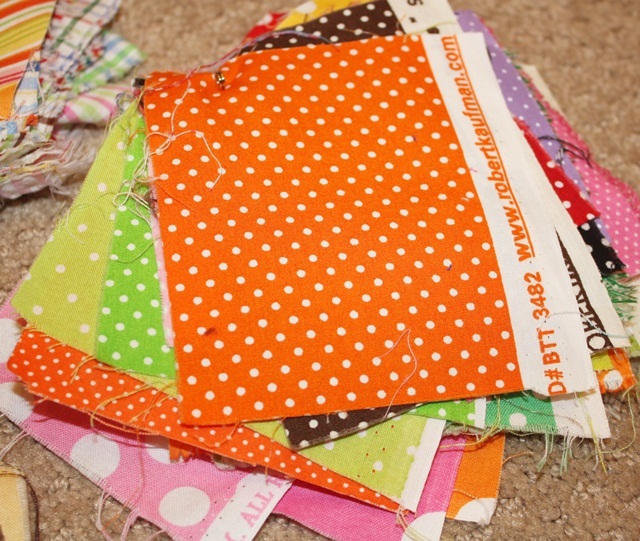 i still have a problem with smaller scraps of fabric for applique. i am sure i keep to much. I am super OCD when it comes to everything being in the right place so when it came to me organizing my sewing room in my new house I decided to hang each one of my fabrics on their own childs size clothes hanger(I have an entire room dedicated to my secret obcession of monogramming and sewing). I hung the hangers with the clothes on them on some pvc pipe stand up closets(I am a very big DIY girl). 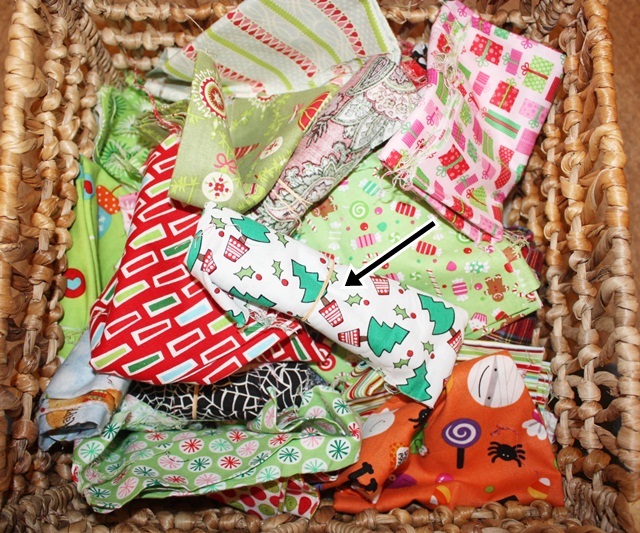 Of course all of the different fabrics are coded plain, flowers, christmas, polka dots, etc. This way turned out super good for me and also very inexpensive. It cost me no more than $20 to make the stand and buy 150 hangers. Crystal I would love to see some pictures! Well put together article! I will definately book mark this for future reference. I do not prewash anything! I use Heat N Bond Lite on my fabric which helps with shrinkage.